Whatever you eat, you can improve the lives of farm animals by purchasing more plant-based products or seeking out brands bearing the welfare certification labels below, which represent more humane and transparent farming practices. Check out our comprehensive label guide for more information about welfare certifications and claims and our list of certified farms by state to find a welfare-certified farm near you! 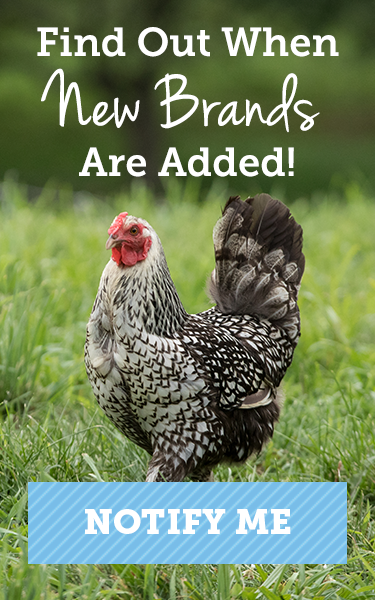 Guarantees animals are raised outdoors on pasture or range for their entire lives on an independent farm using sustainable, higher-welfare practices. Every farm is audited. Slaughter plants must also be formally approved by AWA. While AWA products are increasingly available in national supermarkets, they are mostly sold in co-ops, specialty grocers, farmers markets and direct from farms. Guarantees animals are never in cages, crates or extremely crowded conditions as a key standard of Step 1 with each successive step representing progressively higher welfare to pasture based farming. The ASPCA recommends the GAP program at Step 2 and above. Every farm is audited, with audits scheduled to check animals in different seasons. Widely available at Whole Foods Market—as they require GAP certification for most meat products—as well as other supermarkets. Certain brands may only carry the GAP certification when sold at Whole Foods—we do not list those products here. When a product shows the basic GAP label without a number, look for separate language on the package identifying the product’s step level. Animals are never confined to battery cages, gestation crates or tie stalls. Continuous outdoor access required for ruminants, but not birds and pigs (unless the words “free range” or “pasture” also appear on the package). Animals must be given space and enrichment to support their natural behaviors. There is not a guarantee that all farms are audited if a producer group auditing structure is used. Widely available in major retail stores. Below is a list of brands that have earned one or more of these welfare certifications, or are made from plant-based ingredients ( ). Many are available at supermarkets ( ) across the country, as well as available for purchase online ( ). No brands or products found. There are currently no meal delivery services that offer 100% welfare-certified animal products. Hopefully that will change in the near future! On the bright side, the following companies offer entirely plant-based meals. *These products are welfare-certified; look for the GAP Step 2 logo on pack by Summer 2019. The ASPCA’s position on chicken breedsAWA and GAP Step 4-5+ currently require the use of chicken breeds that intrinsically have higher welfare than industrial breeds, which can suffer due to their genetics. As of 2024, Shop With Your Heart will only recognize chicken-welfare certifications and brands that require better breeds. Companies/Farms listed here [on the SWYH grocery or farm list] may contact the ASPCA at FarmAnimalWelfare[at]aspca.org for a version of the Shop With Your Heart (SWYH) logo that may be used SOLELY on the company’s website and/or social media pages to signify inclusion on this list. The logo may only be used in conjunction with the following language: “[product/farm name] is certified by [Certified Humane/AWA/GAP2+] and appears on the ASPCA®’s list of certified farms/products.” The ASPCA reserves the right to revoke the use of the Shop With Your Heart (SWYH) logo at any time. Note: This list is provided for informational purposes only, and is believed to be accurate as of the time posted. Listing of a welfare certification or brand does not mean that there is any affiliation or endorsement between the ASPCA and the listed company. The ASPCA makes no representation or warranty whatsoever regarding any certification program or brand listed above, and you agree to hold the ASPCA harmless from any and all claims based on the information set forth herein.